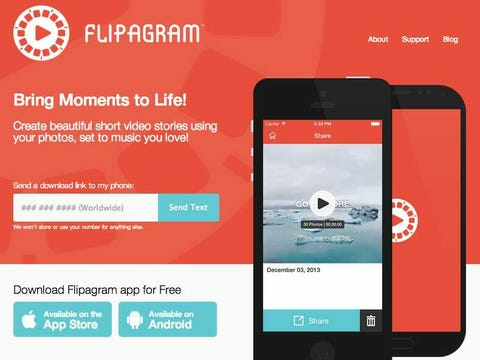 Flipagram is a video app that is perfect for remembering some of the best moments of 2013. The app lets you create short videos comprised of pictures from Facebook, Instagram, and the photos stored on your phone. The length of the videos can vary between 15 seconds and 30 seconds ,but you'll have the added benefit of being able to add music to spruce up the story you want to tell. The app is available for free on iPhone and Android. Here's the welcome screen. 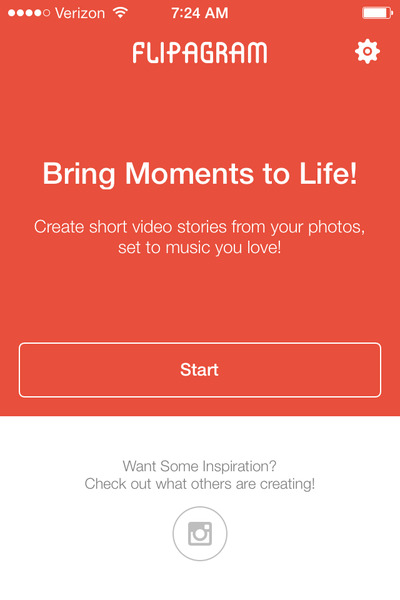 The app will ask you to start making your own video or sync with your Instagram account. This is the main menu. 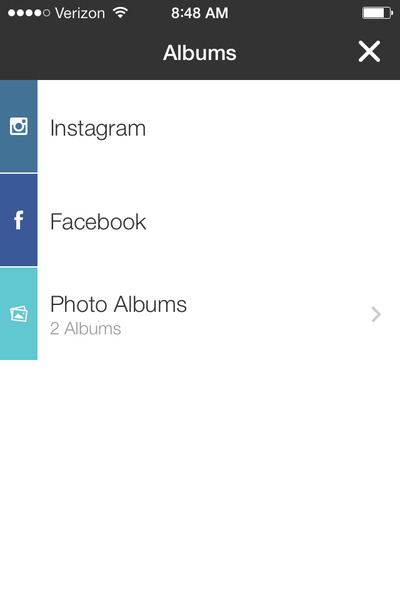 Choose pictures from Instagram, Facebook, or photos stored on your phone. Let's go with Facebook. 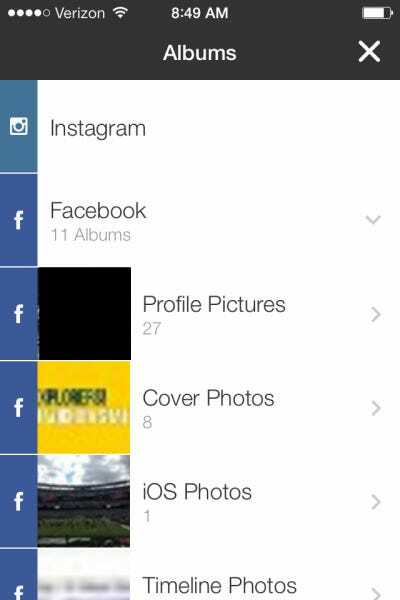 You have three options: Profile Pictures, Cover Photos, or iOS Photos (the photos you uploaded to Facebook from your iPhone).